Pretty Good Solitaire Mac Edition 2.21 is now available in the Mac App Store. Pretty Good Solitaire Mac Edition 2.21 is essentially the same as Pretty Good Solitaire Mac Edition 2.20, including all 350 games (including bonus games), with the alterations required for MAS inclusion. Mostly, this is just the elimination of any registration codes or acknowledgment that Apple is not the one and only possible source of this product. … and then the Bad News. Apple, in its myopic wisdom, has determined that updated products should not be shown at the top of the various product lists, so PGSME 2.21, despite having 50% more primary games than its MAS predecessor, PGSME 2.14, which itself helped make the initial Mac App Store launch successful, is not listed on the first (visible) page of ‘All Card Games’ (nor under ‘New and Noteworthy’ on the general ‘Games’ page). I can understand and appreciate the concept of not automatically bumping up minor updates and bug fixes, thus encouraging spam-like behavior and regular submission of inconsequential changes, but when one of the launch day products adds 100 new games (plus another 10 bonus games), after being trouble free for 5 months, it seems genuinely unfair to penalize it with keeping its (now) almost bottom of the list position. In fact, it is actually counterproductive, as it encourages us to bombard them with releases of “different” titles using our internal product names (GS200, GS300, GS350, GS400, etc.). Apple needs to review this policy. Fortunately, despite the lack of attention from Apple itself, our customers recognize the quality of our product and, somehow, have managed to find out about the new release. Pretty Good Solitaire Mac Edition is (as I write this) back to #3 on the ‘Top Grossing’ chart in ‘Card Games’, so we have been voted onto the page anyway. What is your profession? Fun! Fun! Fun! 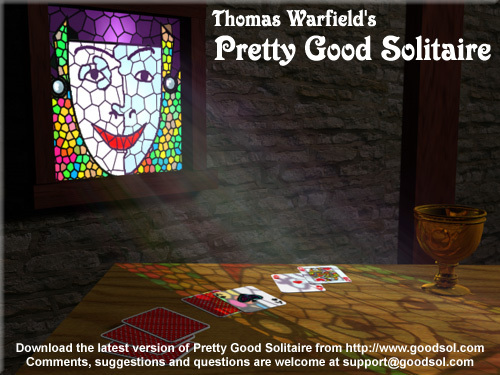 After half a year in development, the latest version of Pretty Good Solitaire Mac Edition has been released by Goodsol Development this week. Pretty Good Solitaire Mac Edition 2.20 adds one hundred new solitaire games to the product, and also makes some significant interface improvements, including customizable game groups, to allow players to arrange games just the way they desire. 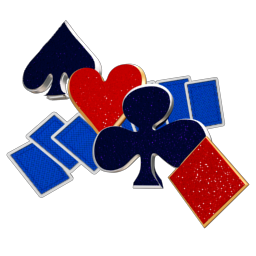 The 300 games in this title are joined by 50 bonus games (in the full version), to make PGSME the ultimate solitaire game for Mac OS X. You can download a trial version of the product, or buy it for only $24.95! (That is not even a dime per game for hours upon hours of relaxing enjoyment; where else could you get that much fun for less than 10 cents?) This version is a free upgrade for all previous PGSME customers, and new customers will get free upgrades through the end of 2012, including PGSME 2.3 later this year.